Amelia Iraheta of Seattle finds conditions harsh on St. Thomas, where she is part of the American Red Cross relief operation in the U.S. Virgin Islands. Wrecked homes and flooded streets are everywhere; there still are power lines down and there is a curfew to keep cars off the roads at night. The hop, skip and jump nature of the trip to the Virgin Islands gave Amelia a foretaste of life in the hurricane zone. First came a flight from Seattle to Atlanta, then a wait in Atlanta; next a fight to St. Croix and more waiting; finally a night ferry boat to St. Thomas. Red Cross teams in Texas and Florida mostly arrived after the hurricanes had hit and moved on. And Amelia arrived on St. Thomas three days after Hurricane Irma hit the Virgin Islands head-on, But she then had to endure Hurricane Maria, which struck St. Thomas a glancing blow. “Maria was not nearly as devastating to this island as Irma was,” she says. Still it was her first hurricane and nerve-wracking to experience. Flooding did become worse and some buildings damaged by Irma were done in by Maria. Amelia’s title on St. Thomas is community partnership supervisor. Her job is to track down people in need and connect them with local resources that are available to help. On the day we talked, Amelia learned of three nursing homes where residents were not being fed. She contacted such relief organizations as the Salvation Army. “We got them all fed,” she says. One big help to the deployed Red Cross workers has been the local Red Cross chapter. The Virgin Islands are a U.S. territory and there is a local chapter of the American Red Cross. Still the culture and way-of-life of the islanders is very different from what workers from the mainland are used. Deployment to St. Thomas has been a profound experience for Amelia on many levels. Not only is she providing help to people in need, but it gives her real life experience in the career she has chosen to follow: helping communities survive and recover from disaster. Her first community involvement was with King County 2-1-1 – an information and referral service that links people to agencies that can help with issues ranging from healthcare to housing. 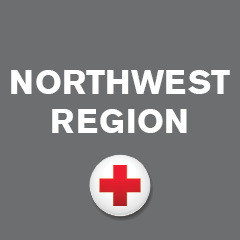 At the same time she became a volunteer with the King County Red Cross chapter. Next she got an advanced degree in disaster management at the University of Manchester in England. After that came her stint at the Calais Jungle refugee camp in France – followed by her two years on staff with the Red Cross located in Seattle.